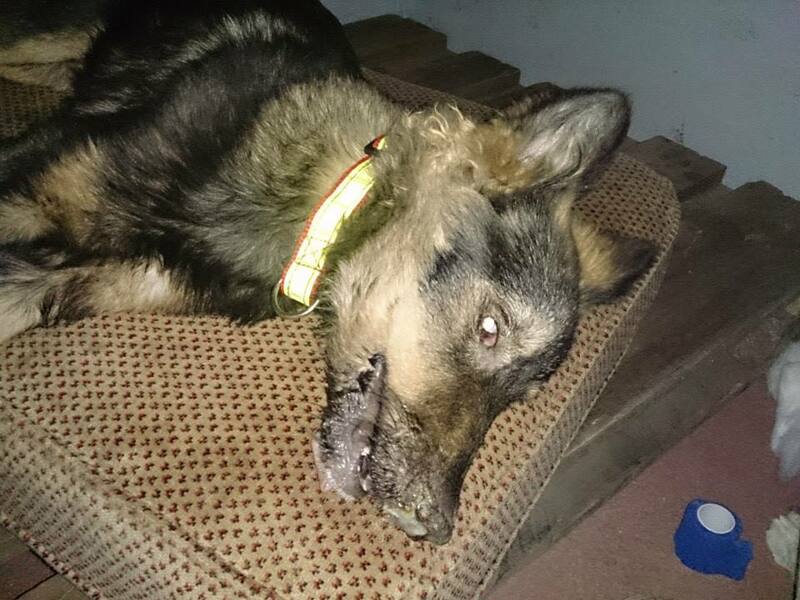 Husky Found in Horrifically Critical Condition! This poor soul lost the battle. RIP. I’m so very very sorry. 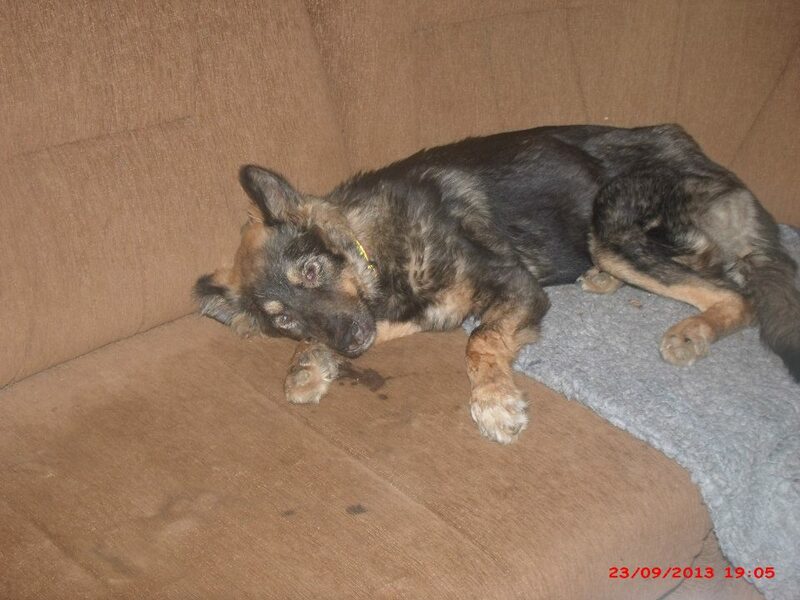 If you have donated for this lovely dog, and would like your donation returned, please contact us. 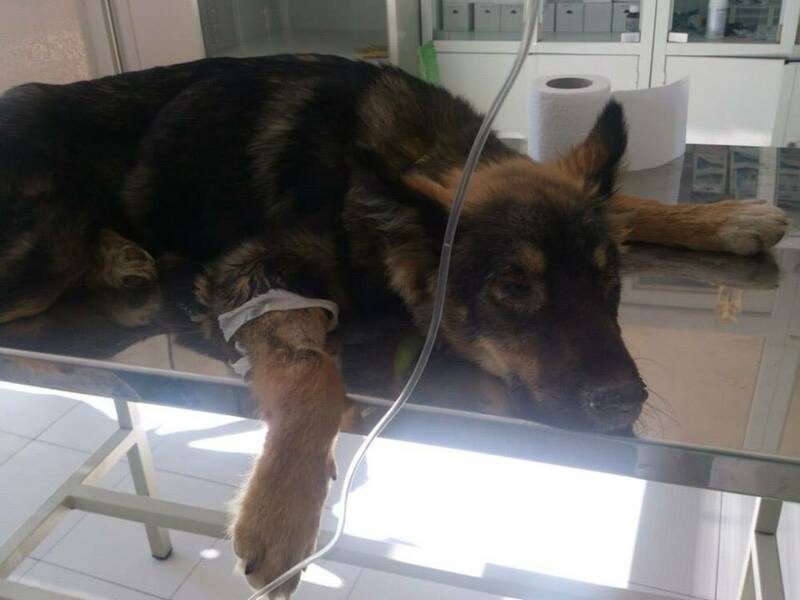 Animal welfare activists in Sarajevo were only contacted about this poor dog last night, and it might be too late to save his life! He has distemper and maybe canine parvovirus as well. 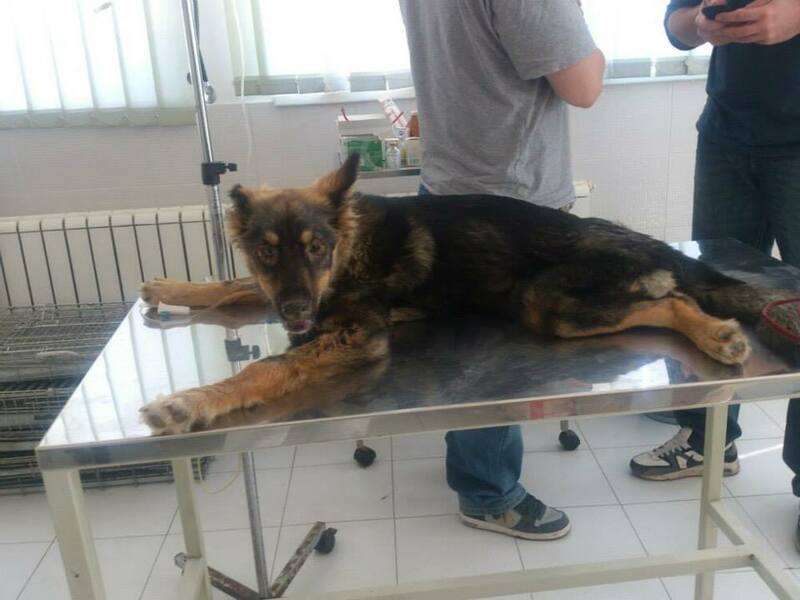 He has been given an initial vet treatment of an infusion but he needs to be moved to a proper pension and to have intensive veterinary treatment for any chance of survival. You can’t see it because his eyes are in such poor shape, but he has one blue eye and one brown eye. The rescuer called him a Husky but I suspect he’s probably a German Shepherd mix. Please help this lovely dog, and if you can’t send a donation towards his treatment or pension, please send your love and healing prayers. Distemper is a highly contagious disease caused by a virus similar to the one that causes measles in people. Worldwide, it is the leading cause of infectious disease deaths in dogs. All unvaccinated dogs are at high risk of infection. The overall health of the dog has a lot to do with how ill he becomes. 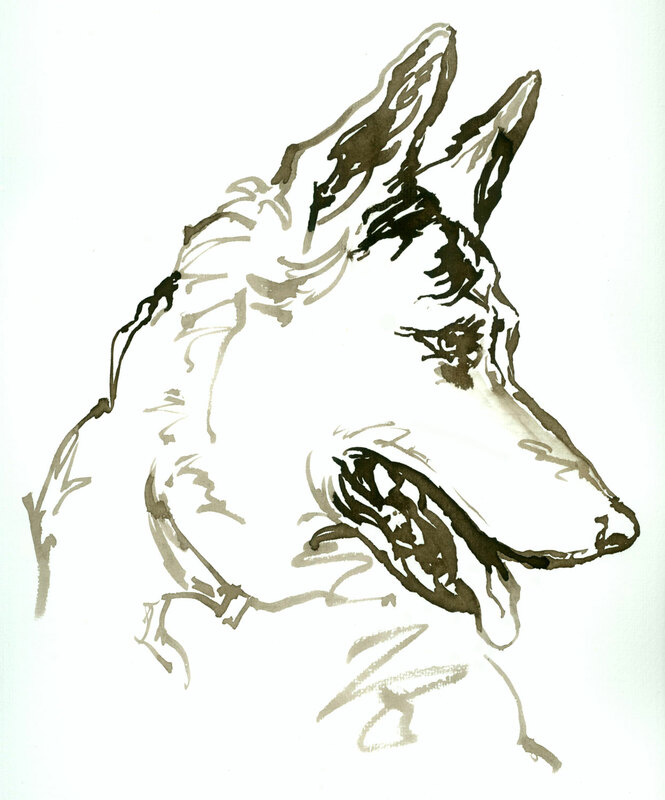 The disease is most severe in dogs who are poorly nourished and ill-kept. 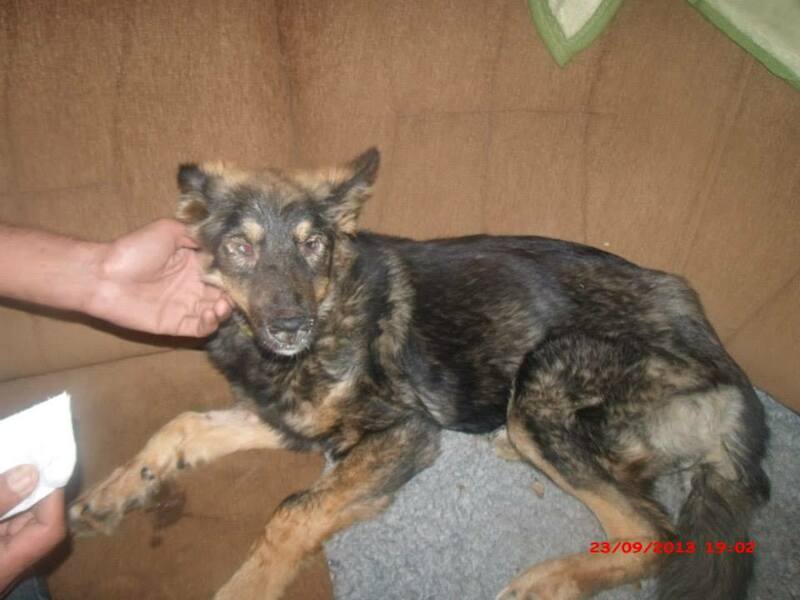 As you can see this poor dog is very thin and was a stray on the streets of Sarajevo. The distemper virus attacks brain cells and cells that line the surfaces of the body, including the skin, the conjunctiva, the mucous membranes of the respiratory tract, and the gastrointestinal tract. Many dogs develop signs of brain involvement (encephalitis), characterized by attacks of slobbering, head shaking, and chewing movements of the jaws. Epileptic-like seizures may occur, in which the dog runs in circles, falls over, and kicks all four feet wildly. After the convulsive episode the dog appears to be confused, shies away from his owner, wanders about aimlessly, and appears to be blind. This is a horrific disease if left untreated. We hope it’s not too late for this poor dog. The dog was taken in for a proper veterinary examination. The vet feels the dog ‘has a chance’. New photos below and more added to the slide show. 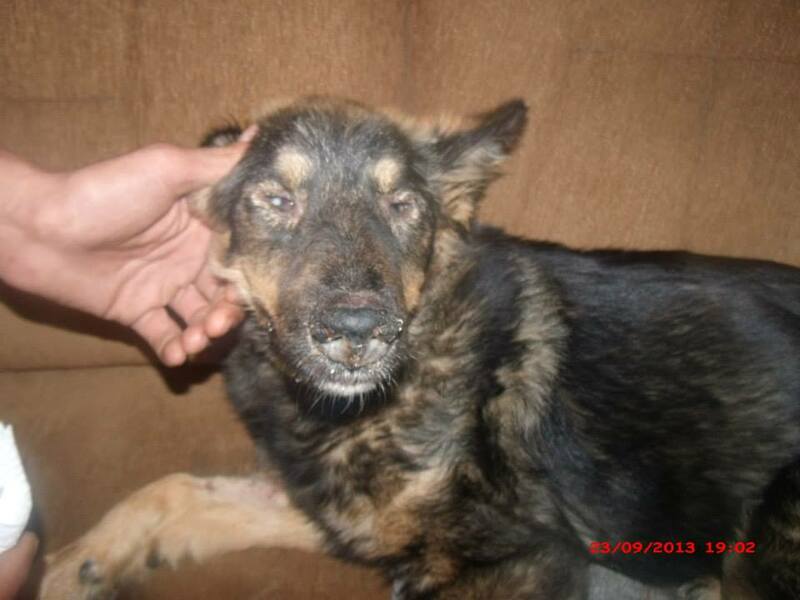 This entry was posted in Fundraising, Urgent - dogs needing help and tagged distemper by Sandra Jensen. Bookmark the permalink. Shared your plea on Facebook and Twitter. I do hope you are able to raise enough funds to help this poor dog. Much appreciated, thanks so much. I should have some new photos and information soon, I’ll add it to the page as soon as I do. Thanks so much. 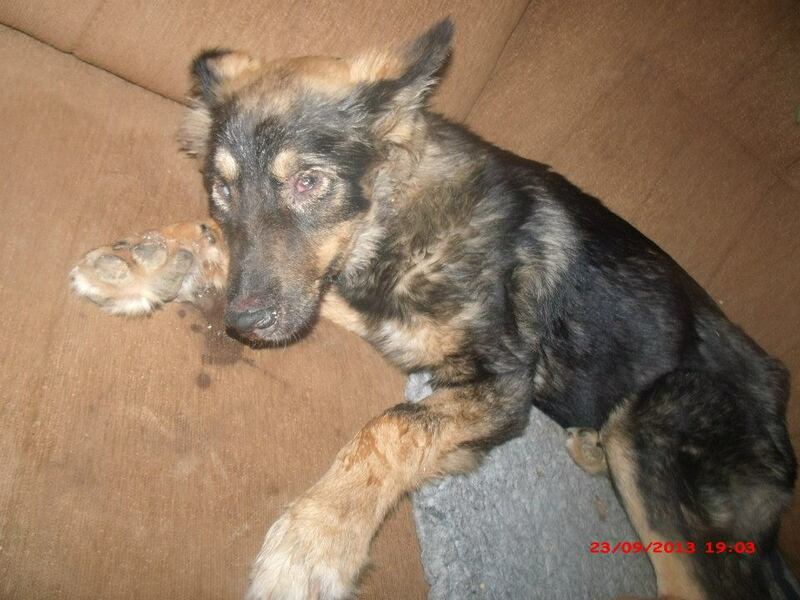 I’m very sorry to say that this lovely dog died, it was just too late. I feel crushed and very hurt that this beautiful soul did not make it. Hard to believe under what circumstances these babies have to live under. I know, it makes me cry everyday to see dogs suffering, tortured, neglected, the list goes on. If I could, I would adopt every single dog around the world. We are both in the same thinking Janet. I would adopt the entire animal world, and give them to people who would love them and really care for these precious lives. If you ever want to be an advocate on my animal advocate page, please let me know. Would love to have you there! That would be great. I have an unbelievable advocate page. That’s what I do for my life’s work. Please help this dog, if you can. I’ve just fixed the links for Paypal on the page, so sorry about that Janet! Janet — I added an update. I’m so sorry to say this lovely dog died. It was too late for him. Let me know if you would like your donation returned or used for another dog. I just don’t understand why there is this horror against our most precious animals. There is no justice for the animals when they are horribly tortured or killed. If you kill an animal, then your useless life should be taken as well.